Identities represent a crucial and yet a delicate and changeable matter in relation to World War One. If we dwell on the level of local identities the matter becomes even more delicate. Sometimes it would be better to refrain from commenting and posting about this topic because every word can turn into a slippery floor. Perhaps these are only typically Italian worries, even if we have to say that the European scenario, on this side, has many points in common. While keeping in consideration the Italian case, for example, everybody should remember one thing: although people from all the regions perished in World War One, territory-wise the Great War was fought only in the northern part of the country. This fact is somehow reverberating in the way the war is commemorated. Anyway such worries do not arise while thinking to the interesting conference we are presenting today, even more so we look at the Call for Papers. We just wanted to begin with a warning since a higher grade of attention is necessary while making a selection among the events filed under the tags "identity/identies". The conference program we share today brings us to Lancashire, the northwestern region of England. For detailed information about the conference, you find the dedicated website at this link. There you'll find updated information, conference programme and online booking details. If you require any more information you can contact the Conference Officer, Emma Woodward at this email address. On the eve of the centenary of the First World War interest in the conflict has grown - as have debates over local identities, recruitment, the war effort, memorialisation, and the historical sources. As home to many Pals battalions, and a focus of Lord Derby's recruitment efforts, Lancashire is arguably at the heart of these matters. 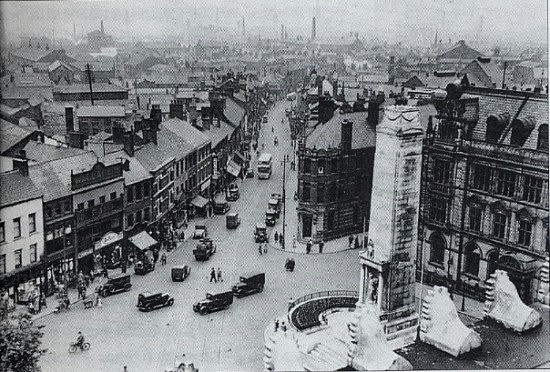 Moreover as the result of the successful Preston City Council bid to refurbish the town memorial, and extensive new research into rarely seen film, new and fascinating evidence of the war and its impact is now coming to light. Of interest to academic researchers, professionals in the heritage and educational sectors and the interested amateur, Finding Identities will include both keynote speakers, and opportunities to visit the Harris Museum and the newly restored Preston Cenotaph; the recently opened First World War gallery in the Museum of Lancashire and the Lancashire Infantry Museum at Fulwood Barracks.